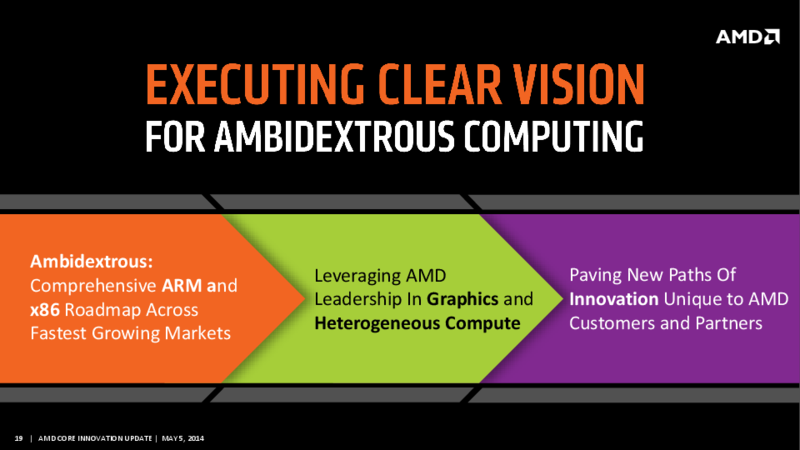 So what exactly is AMD planning to do here? 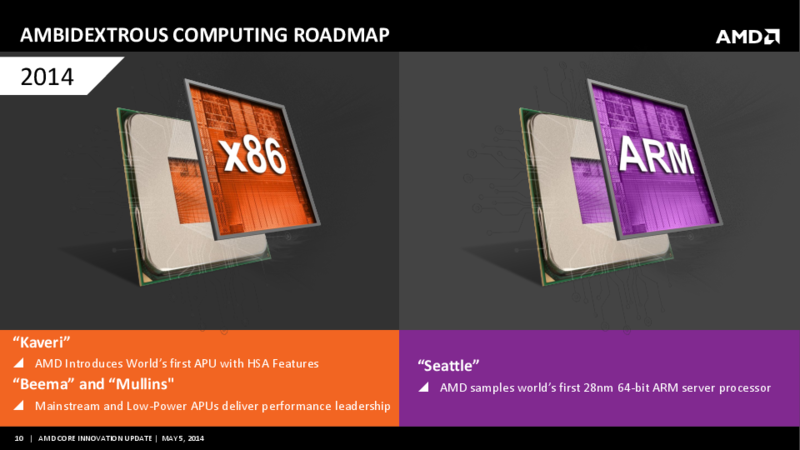 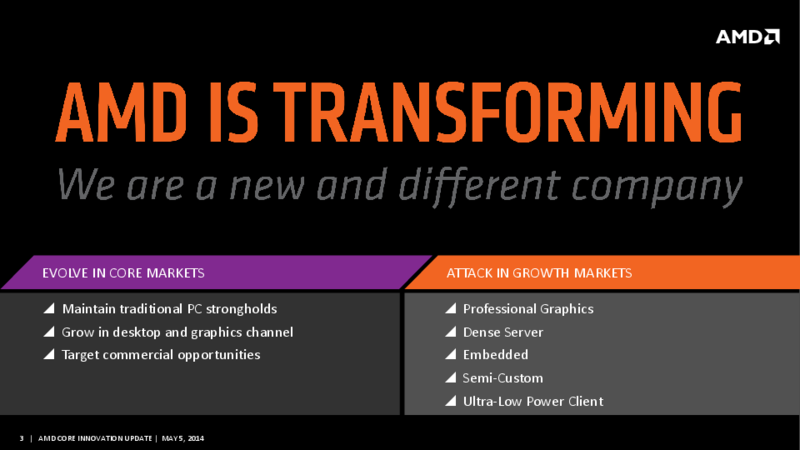 Let’s face it, the x86 market isn’t the dominant force it once was.Before today, AMD was the only company in the world to deliver high performance and low-power x86 with leadership graphics. 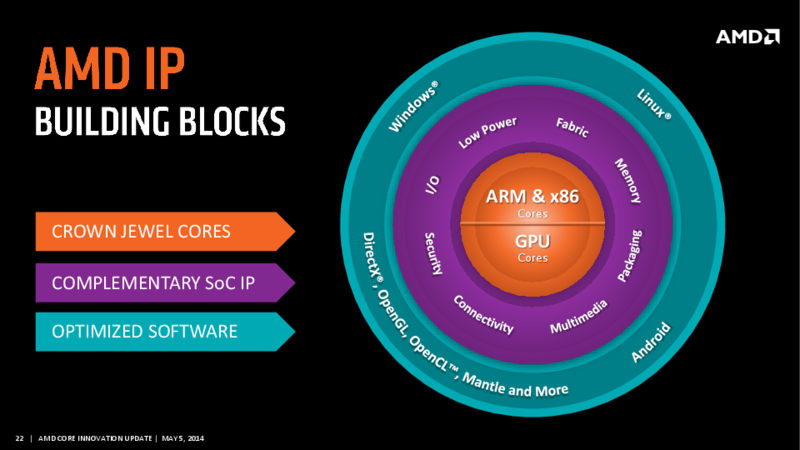 AMD now takes a bold step forward and has become the only company that can provide high-performance 64-bit ARM and x86 CPU cores paired with world-class graphics. 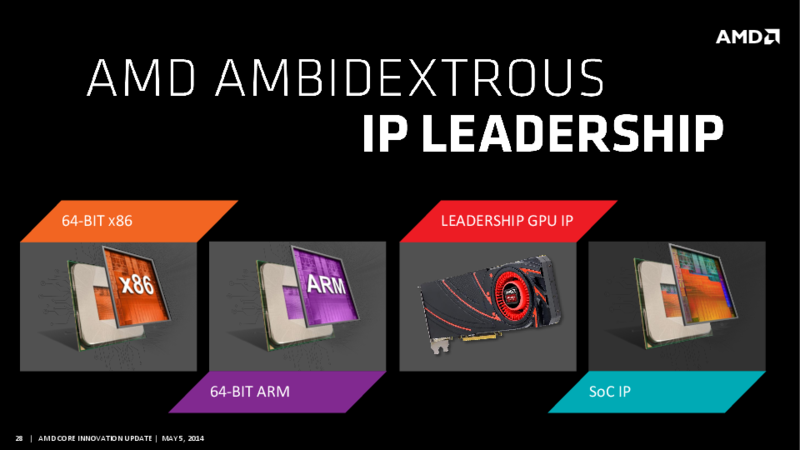 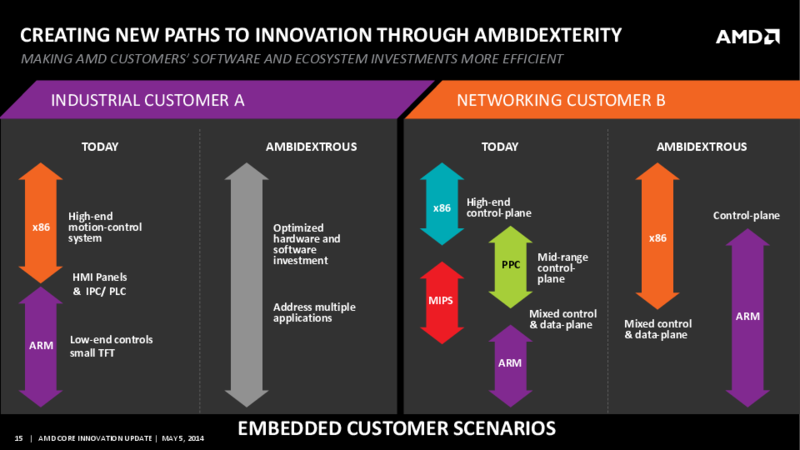 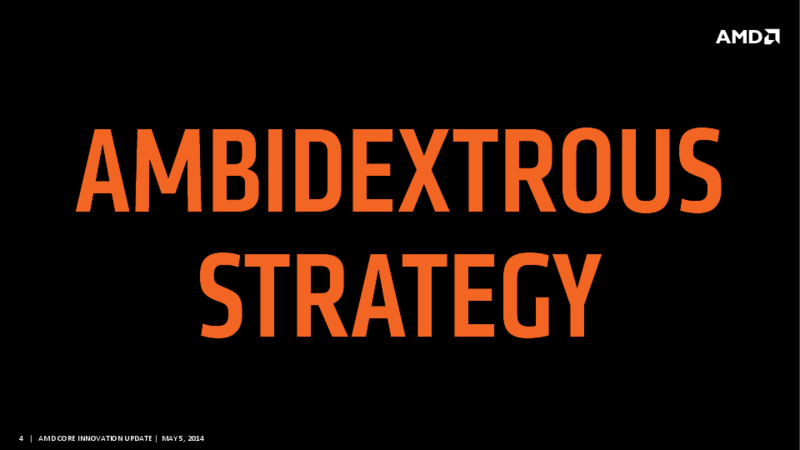 Our innovative ambidextrous design capability, combined with our portfolio of IP and expertise with high-performance SoCs, means that AMD is set to deliver ambidextrous solutions that enable our customers to change the world in more efficient and powerful ways. 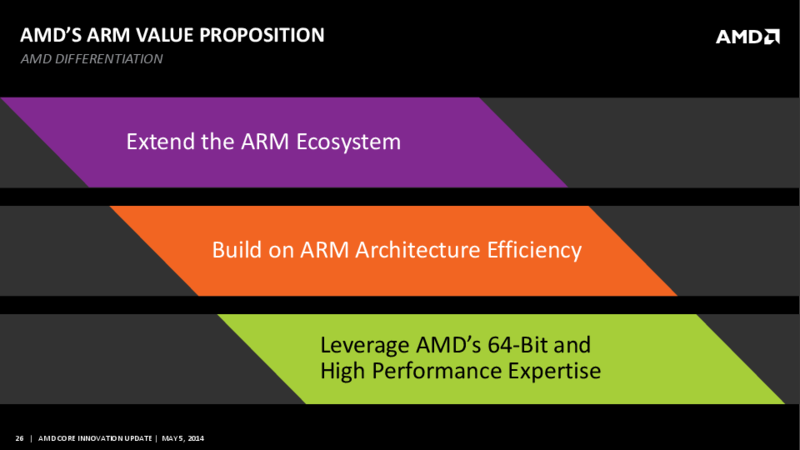 – Rory Read, AMD CEOTablets, mobile phones, phablets, small-scale servers, they are all on the ARM bandwagon and this is definitely not going to change. 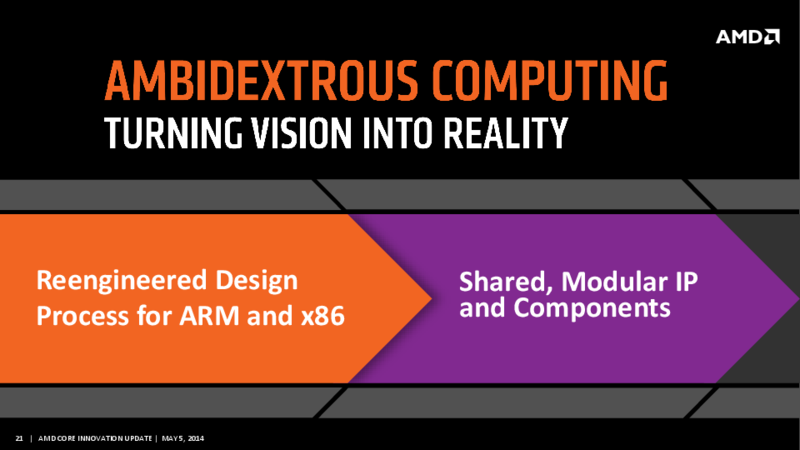 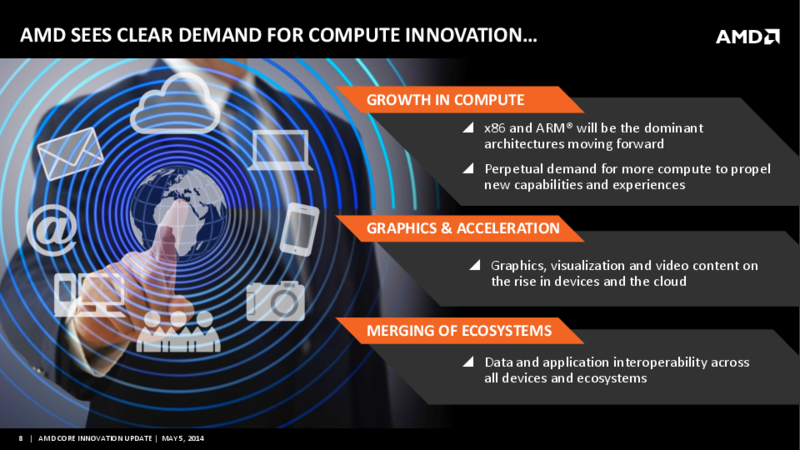 According to AMD’s calculations, by the 2018 timeframe ARM is actually expected to slightly surpass x86’s combined revenue share across all major processor architectures for mobile, embedded, PCs, consoles and servers. 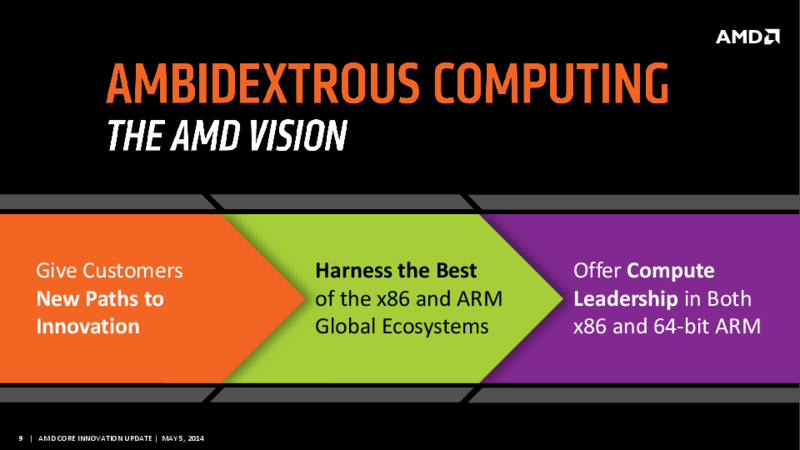 The combined share of both ARM and x86 though is expected to increase and that puts AMD in a unique position right now, since it holds licenses for both dominant architectures. 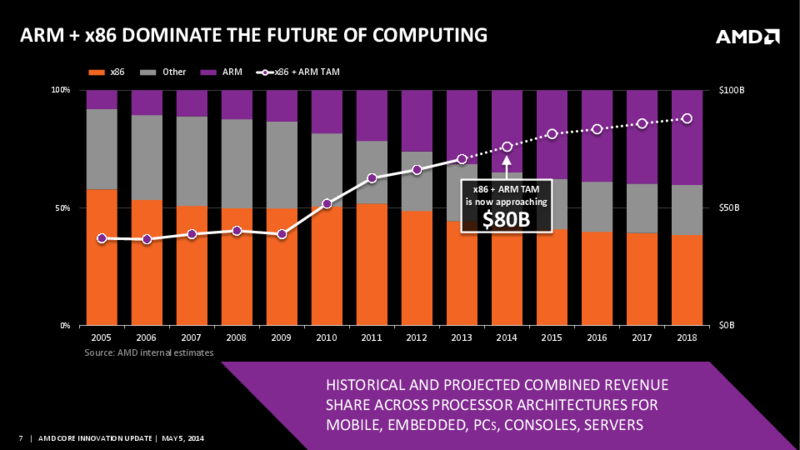 So what better way to future-proof the company than to build its future on exactly that. 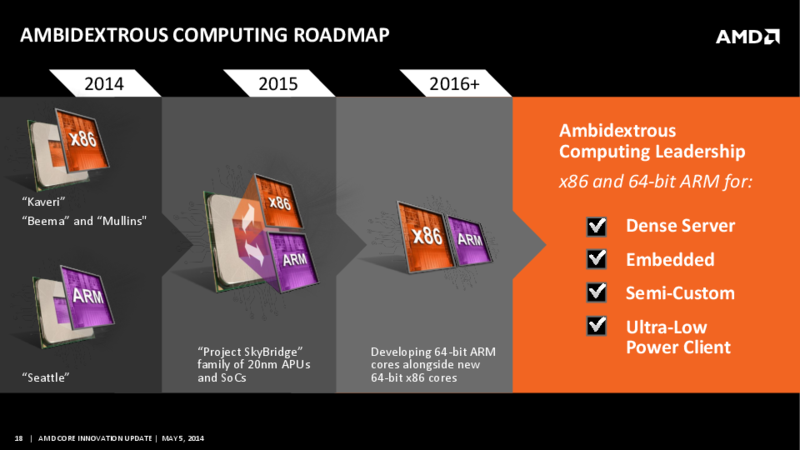 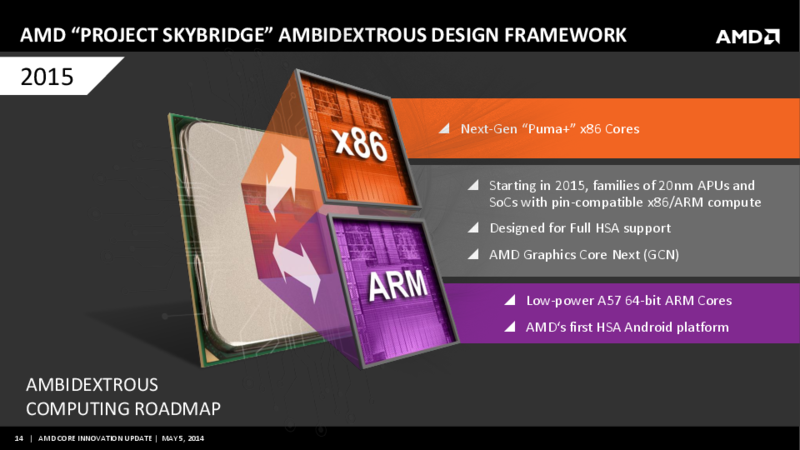 AMD plans to introduce Project Skybridge by 2015. 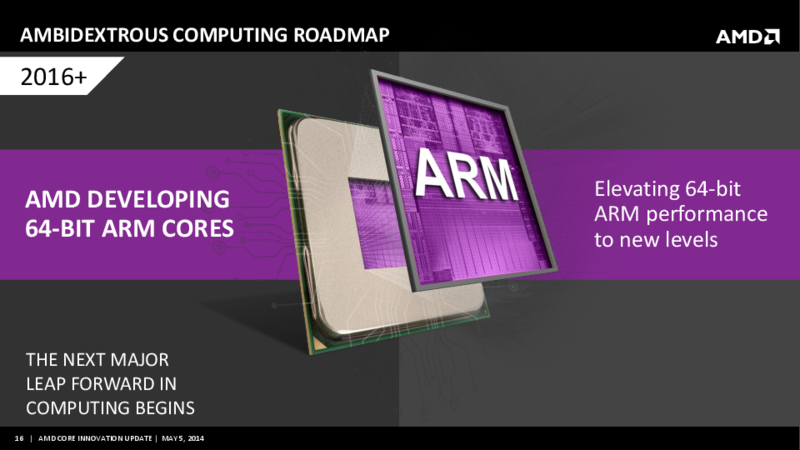 This will be a new family of 20nm APUs and SoCs that will feature an industry first: 100% pin compatibility between the two architectures, ARM and x86. 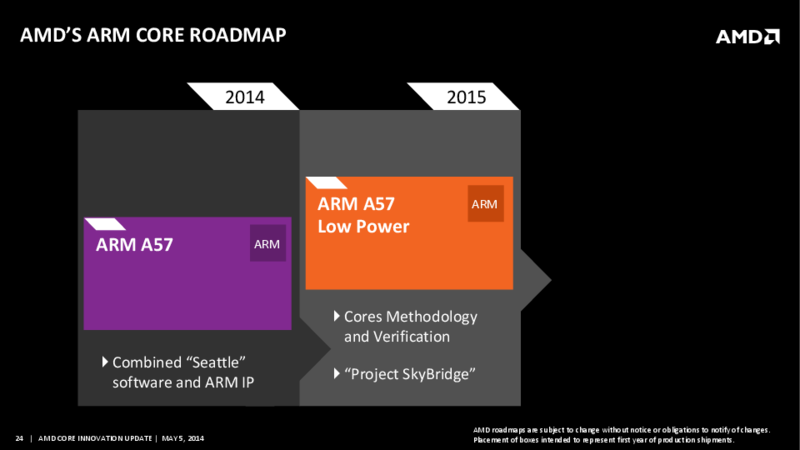 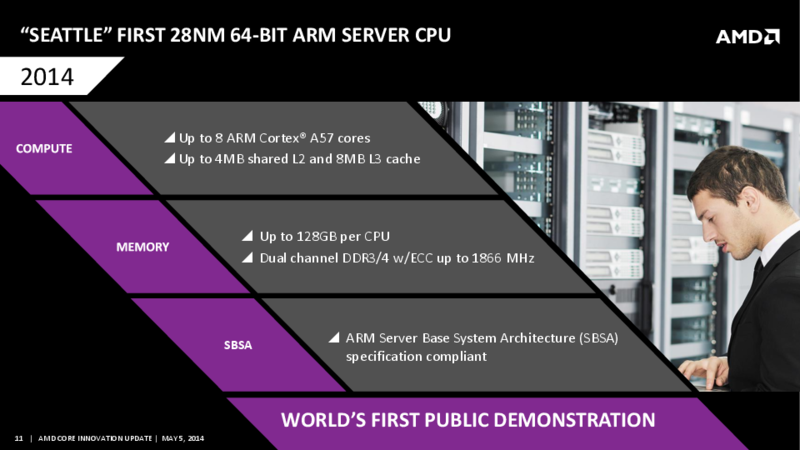 The 64-bit ARM variants will be based on ARM’s Cortex-A57 cores whereas the x86 variants will feature next generation Puma+ CPU cores. 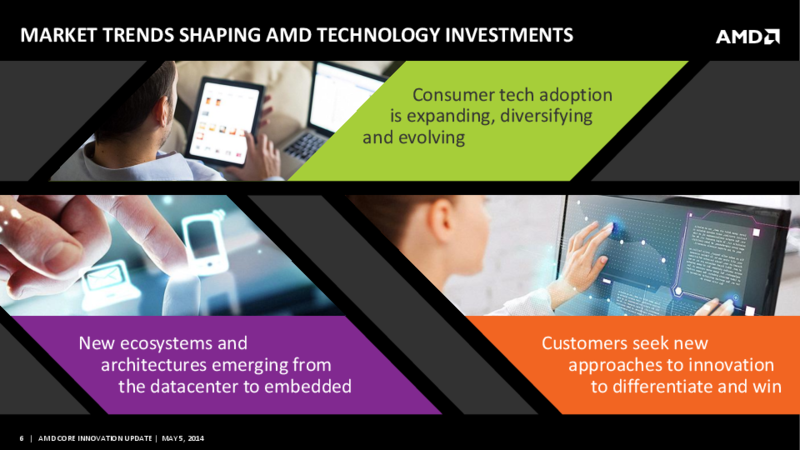 They will both offer full HSA support, AMD Graphics Core Next (GCN) technology and AMD Secure Technology via a dedicated Platform Security Processor (PSP). 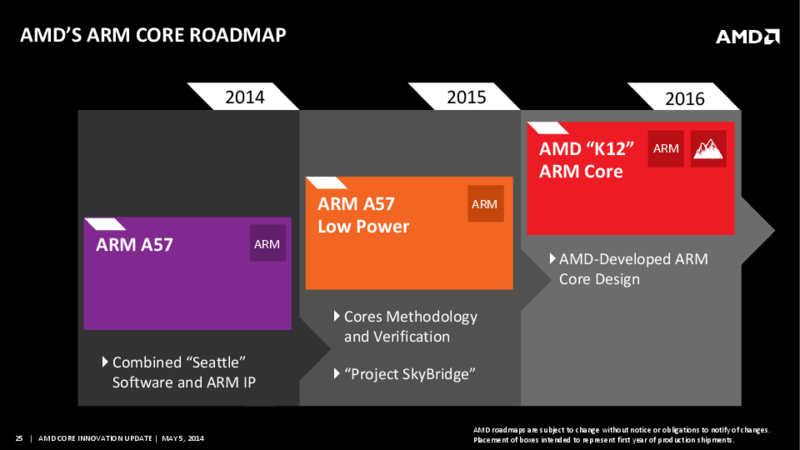 Things get far more interesting in 2016 though, when K12 will be introduced – that’s an all-new high-performance ARM core, wholly designed by AMD and supervised by non other than Jim Keller, the company’s Chief CPU Architect and better known as the man who gave us the Athlon XP and Athlon 64 CPUs and solidified AMD as the performance king for quite a few years. 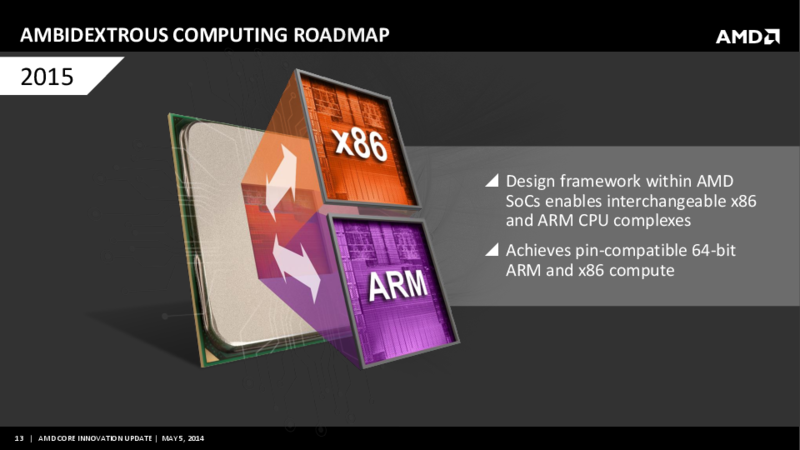 x86 cores will receive some love too, as Keller himself revealed that his team is working on a corresponding 64-bit x86 core; a new design built from the ground up. 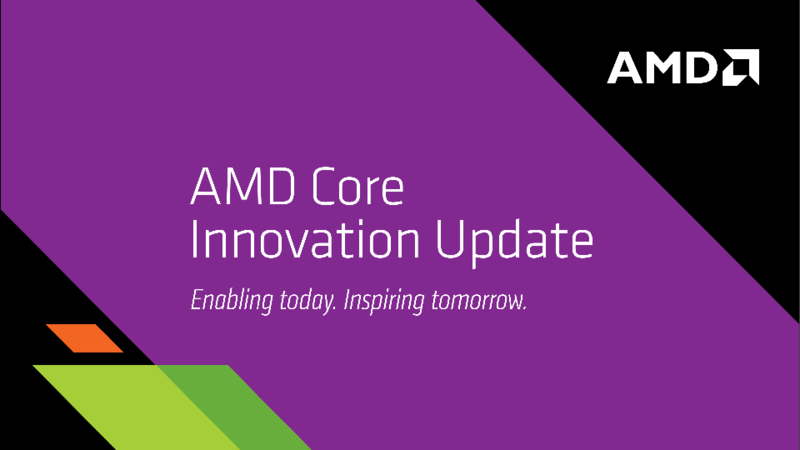 It was definitely one of the most interesting CPU updates from AMD in recent years, and one thing is certain: things are definitely heating up in the CPU market, as Intel also has some plans of its own. 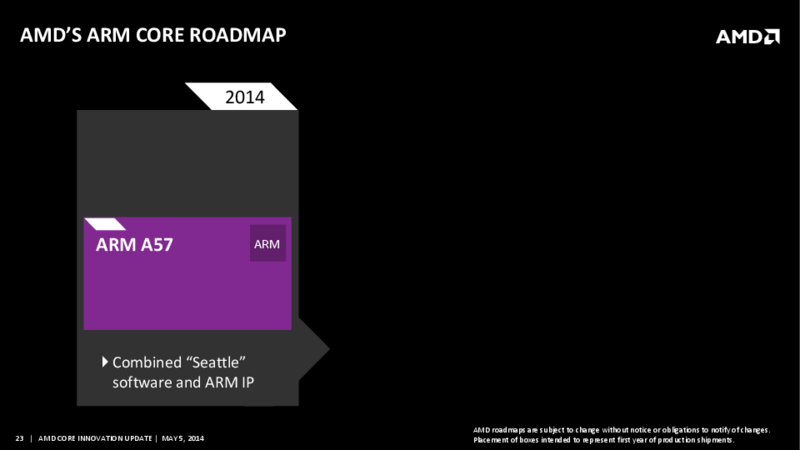 Next story Just in time… Intel’s 2015 roadmap leaks?